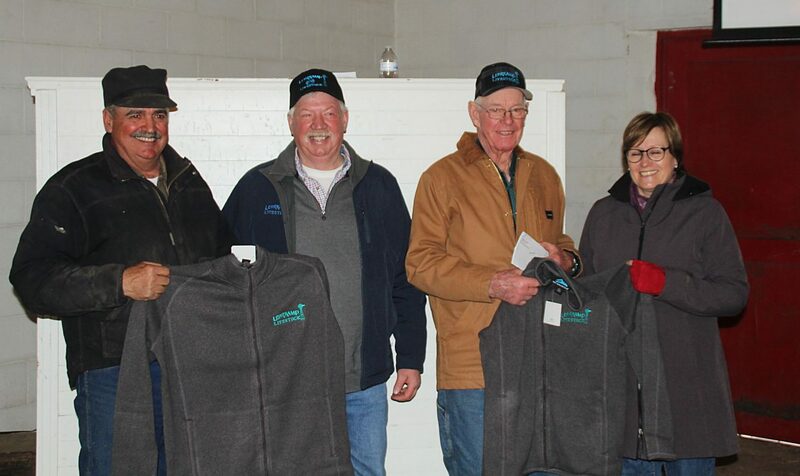 The buyers of top selling bulls got Lehrkamp Livestock jackets. Jodi Lehrkamp, left with Sara and Seth Morland, Ron Kliensasser & Mike Lehrkamp. This was a nice sale offering from the Lehrkamp family. Mike and Jodi and son Carl presented a set of bulls that exhibited plenty of growth along with many excellent calving ease prospects. There wasnt an extreme top, the bulls sold very consistent in price to a nice crowd of very loyal customers. The top selling bull was lot 729, LL Black Powder 729, a 2/17 son of Buford Black Powder Z885 out of a very productive Connealy Forward daughter that has weaning ratio of 109 on 3 calves. This bull has epds of CED 8 BW 2.0 WW 62 YW 106 Milk 27 and sold to Seth & Sara Moreland, Red Owl, SD for $4,250. Lot 732, LL Black Powder 732, also a 2/17 son of Buford Black Powder with epds of CED 11 BW -.1 WW 54 YW 93 Milk 27 sold to longtime repeat buyer Ron Kleinsasser, Caputa, SD for $4,250. Selling at $4,000 was lot 766, LL Unlimited 766, a 3/17 son of Reisig Unlimited 512. A calving ease bull with 69 lb birthweight, but 205 day wt. of 700 lb. and epds of CED 13 BW -.9 WW 44 YW 76 Milk 18. Bryan Denke, Quinn, SD was the buyer. 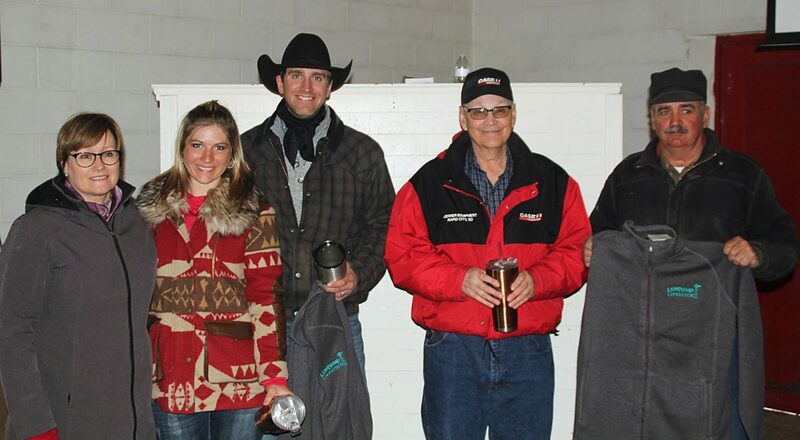 Two bulls sold for $3,750 each. Lot 738, LL Altitude 738, a 2/17 son of McConnell Altitude 3114 went to Steve Richy, Rapid City, SD and lot 749, LL Altitude 749 also a 2/17 son of McConnell Altitude sold to Owen Peterson, Vivian, SD.